Going to India last year (by myself) was the wisest, scariest, most satisfying thing I’ve ever done. I fell in love with the feeling of being free, I connected with myself in ways I never thought possible, and I proved to myself that I can do anything I put my mind to… anything. Curry, dosa and idli fueled my adventures through the rainforest, the backwaters, the 3 hour yoga sessions and endless walking meditations. When I need a reminder of the power that I found in myself during my India trip, I prepare myself a curry and it instantly reminds me of what’s important, where I want to go, and what I want to be. 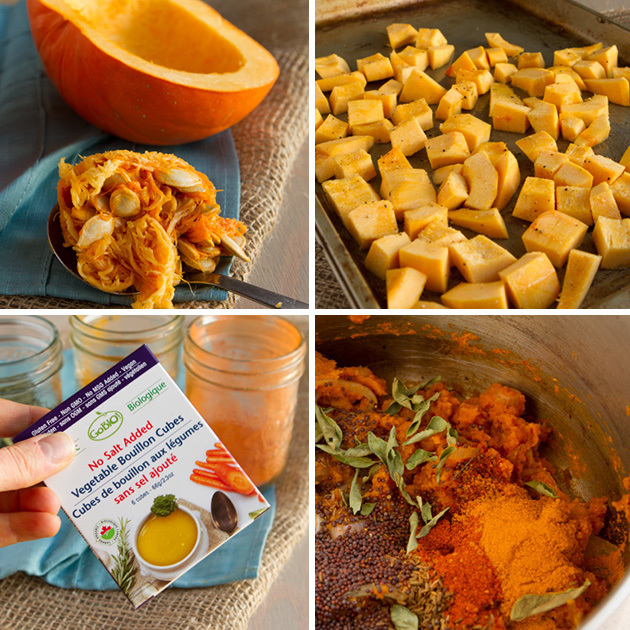 1½ cups canned pumpkin puree - not pumpkin pie puree! 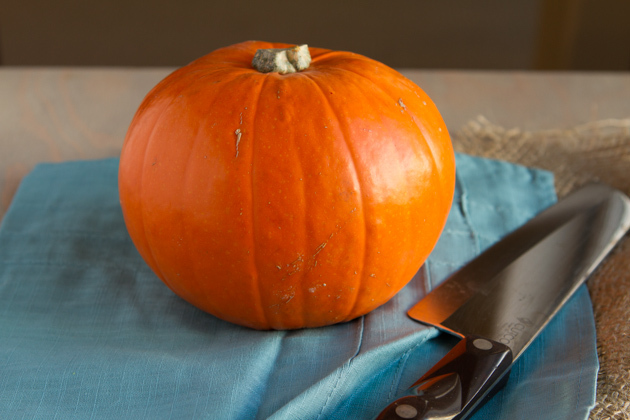 Pumpkin - cubed pumpkin can be replaced with an equal amount of cubed butternut squash or sweet potatoes. Cubed, the pumpkin was about 3 cups. Grape seed oil - feel free to use whatever you'd like to here. Coconut oil would be nice. Spices - if you don't have all the spices, that's okay. 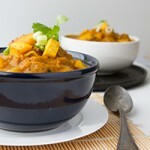 Replace extras with another 1 tablespoon of curry powder. This was my second time cooking with an actual pumpkin. 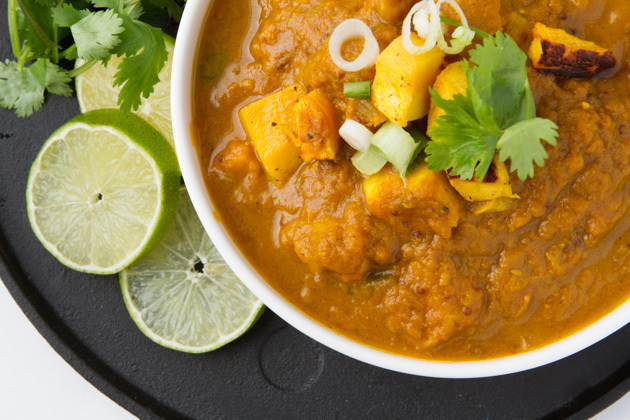 I’m a sucker for the easy-to-cook, pumpkin puree but that wasn’t enough for this curry. 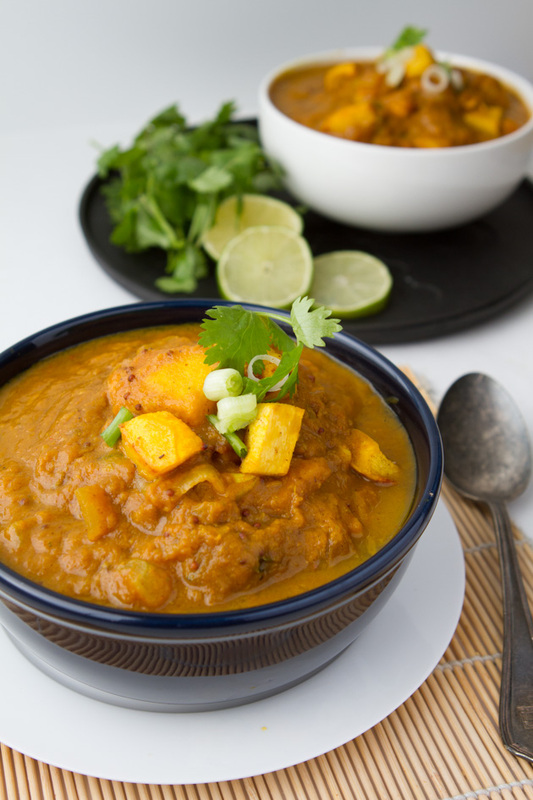 Roasting the pumpkin and adding it to this dish is delicious! If you can’t find pumpkin, you could use any squash. Butternut would probably be the closest to pumpkin. I know how much you guys love your counter top appliances so I wanted to let you in on the incredible giveaway that the folks at Almond Fresh are hosting on their Facebook page. 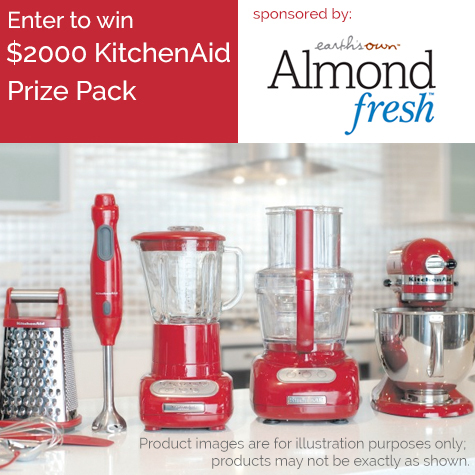 You can enter to win a $2,000 prize pack of KitchenAid appliances and a one year supply of Almond Fresh. Enter up to five times daily until November 1st! Click here to enter. The contest ends TOMORROW is open to Canadian residents only. Product images are for illustration purposes only; products may not be exactly as shown.